White Castles went all out for Valentines Day. It was very fun, economically friendly date that we will enjoy telling our friends about for years to come. Very special Valentines day dinner. Our waiter did a great job!! First time waiting tables he said. Food was hot and White Castle! Table cloths, balloons and even a rose for the lady. Doesn't get better than that! Will for sure be back next year. 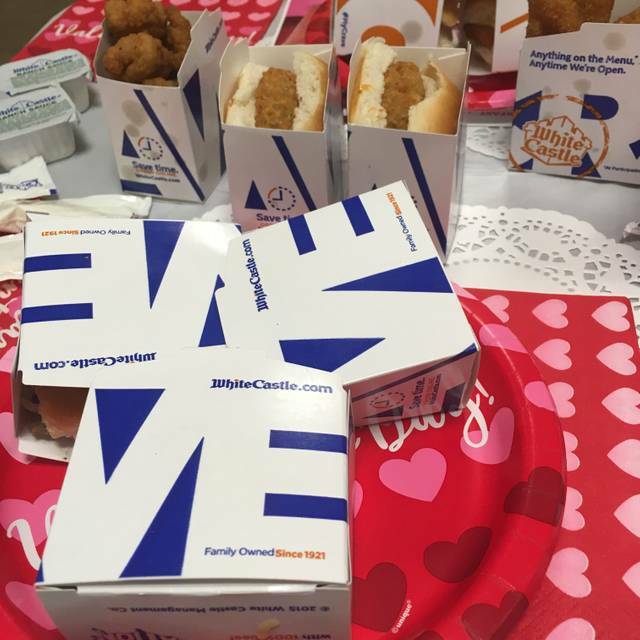 We've been attending Valentine's Day at White Castle for many years. This is our first time at the Heath location. Crew did a great job and the Castle looked very festive. Thank you for continuing this event. First time. Had a great time. We were treated with royality. This was the best thing, our grand daughter loved it. We will make this a yearly tradition. Deliciousness in a memory making space that allowed me to savor the flavor and have the best Valentine's Day ever - Crave On Castle #24!